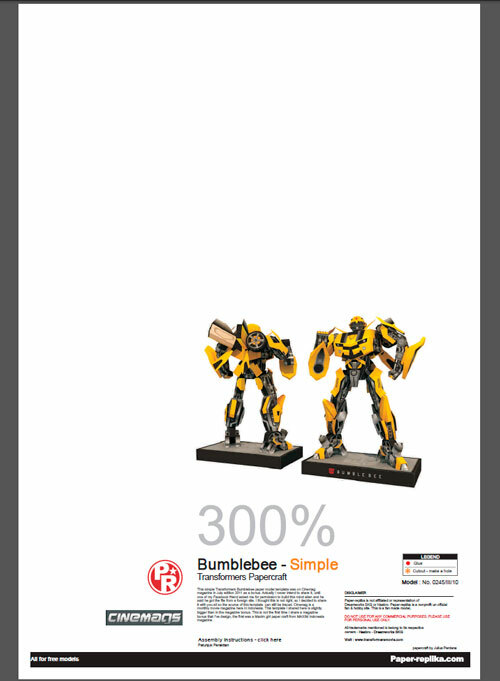 Bumblebee Paper Model Template Resized 3X	. This 21 pages template was edited and submitted by Christian Suryanto from Yogyakarta. He originally enlarge this Transformers Bumblebee template to be built as an exhibition prop for PERI Jogja, but the project is canceled but he share the file with us. This file was specially made for digital printing in A3+ (A3 Extension) paper size, so this template won't fit in standard A4 even in A3, because it's in A3+. With A3+ template you will have a 1 meter height of paper model . 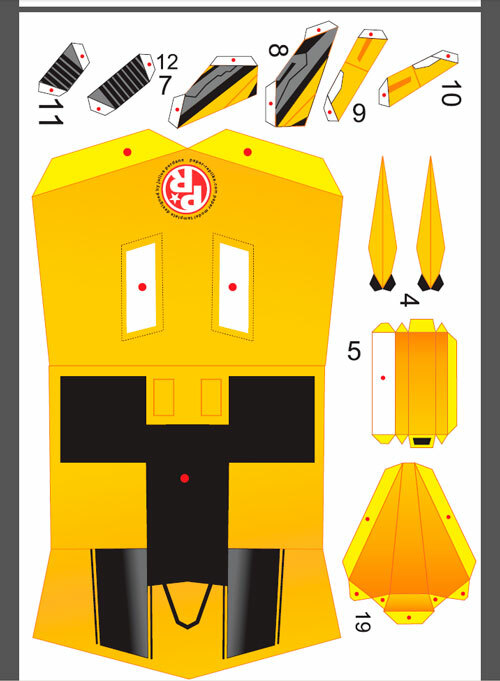 You still can print it in A4 by tick the size option to fit and you will have 60 cm Bumblebee. This month looks like will end without any update from me, I am still finishing a commissioned project and preparing for an upcoming paper craft contest.